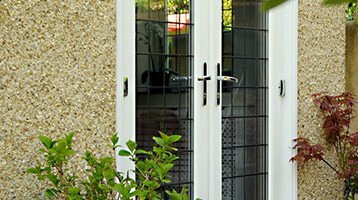 Cheam Windows are exclusive distributors of the Greenways Super-Glide Sliding Door. These amazing Aluminium Sliding Doors are a very special product. They are only available to a select number of experienced window companies. Greenways’ Super-Glide sliding Doors create large glass walls that slide open. The doors use very slim frames and this means the glass area can be really big. When the sliding doors are closed the sight lines are only 21mm. And the door’s very slim aluminium frame still has all the energy saving benefits of aluminium. The big feature of these Aluminium Sliding Doors is the sliding track. This can be extended to run behind a wall or a fixed glazed screen. When the panels are slid back they are out of sight! This feature is unlike normal sliding patio doors. The unique design enables the panels to slide behind walls and create totally open corners with hidden panels. You can create an entire fully open wall in the home. All sliding panels slide into, or behind your walls, to create no visible open doors. 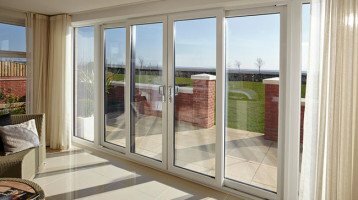 Again this is a huge advantage over normal patio doors or sliding folding doors. Those doors have visible leaves when stacked to the inside or outside of the property. This open style with hidden sliding leaves is even available on corner designs. Cheam Windows can help you can create a fully open corner style not blocked by posts or doors. Another great feature is the way the doors can lock in a partly open position. This provides ventilation while still keeping the door locked and secure. These are included as standard to prevent fingers being hurt when closing the door. The multi track style allows the leaves to slide one way. This creats a full clear opening like a bi-folding door. The track can also be fully recessed to create a level threshold. 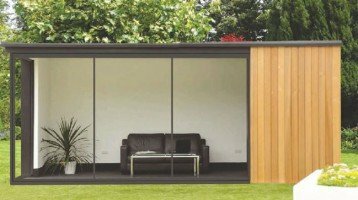 We offer the Greenways’ sliding doors in a wide range of polyester powder coated colours including dual colour. The doors also include colour coded gaskets to keep the look and the colour consistent. A multi point and shoot bolt locking system offers high security. Internal glazing for even more security stops the glass being removed from the outside. Anti-drill high security cylinders also come as standard. 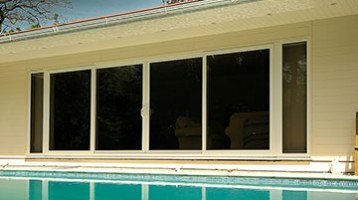 Despite the very slim frames, these high quality doors also have great weather performance. They have passed severe weather rating tests.